At Childsplay the garden is an extension of the playroom and many aspects from the curriculum can be extended or introduced in the environment. Each room has its own fire exit and therefore entrance to the garden, there is also a separate garden area for the under two's. In the good weather a large portion of the day is spent outside either engaging in physical activities or quiet activities such as reading, drawing etc. We believe strongly in enabling children to play freely with, in and around natural environments. Our garden is resourced to encourage this with our digging area, mud kitchen, bug hotel, vegetable patch and flower garden. We also provide opportunity for children to participate in physical play helping them to learn to assess their own risk, meet new challenges and most of all have lots of energetic fun. 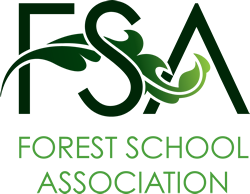 Childsplay Nursery are proud to be a Forest School nursery. Forest School is an inspirational process that offers ALL our Big Teds regular opportunities to achieve and develop confidence and self-esteem through hands-on learning experiences in our own special forest. Our staff devise a programme of learning that is based on the children’s interests and that allows the children to build on skills from week to week, at their own pace. Within the nursery we can easily see the benefits that forest schools has brought to the children, from increased interest in learning, self confidence and risk awareness to the physical benefits, such as increased strength, stamina and the general health benefits that just being outside brings.